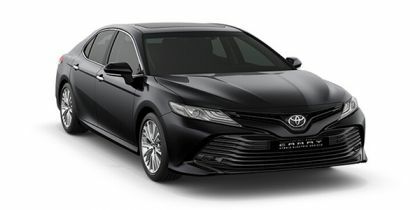 Toyota Camry 2019 price in Delhi starts from Rs. 37.50 lakh (Ex-showroom). Camry is available in only 1 variant. Toyota Camry 2019's top competitors are Mercedes-Benz C-Class (price starting at Rs. 40.20 lakh in Delhi) and Toyota Fortuner (price starting at Rs. 27.83 lakh in Delhi). Share your experiences with Camry 2019? Q. With in a budget of 40 lacs which is a better car between C-class or a Toyota Camry Hybrid? Go for Camry Hybrid.Better technology and awesome mileage. Q. How is the pick up, does it feel zippy to drive? It's an awesome car. You will leave everything behind and reach your destination safely. Q. Is 2019 Toyota Camry BSVI compliant?